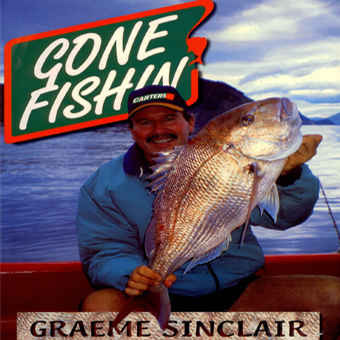 In Life on Wheels Graeme Sinclair, producer, writer and star of the ever popular Gone Fishin’ series, writes candidly about his life and career. While many of his younger fans have only ever known him in a wheelchair, for the first 40 years of his eventful life he had the full use of his legs. 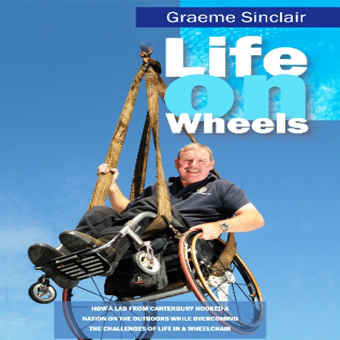 Struck down unexpectedly with Multiple Sclerosis in his forties, instead of allowing his misfortune to dominate his life, he carried on as normal, only now on wheels. 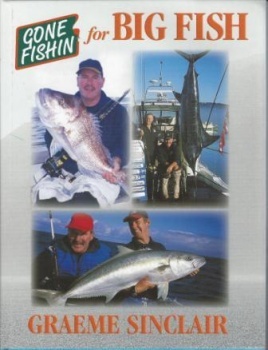 This presented some interesting challenges, filming and travelling to make the TV show. he puts his ability to relate to kids down to the fact he is at their height and they can look him directly in the eye! Talking about his upbringing and his own children will strike a chord with any parent. as well as the good, will reveal facets of this multi-talented man to his audience that they can never have imagined. 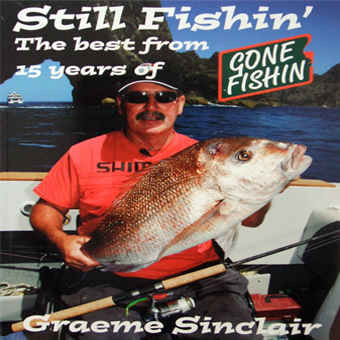 Each copy ordered online is post inclusive and individually signed by Graeme.